MIAMI, Fla. - April 3, 2018 - Motorsport.tv today confirmed a new distribution agreement with one of North America’s pre-eminent sports OTT providers, fuboTV. Motorsport.tv will be adding its premier North American racing packages to fuboTV’s ‘Adventure Plus’ package, extending its signature motorsport series to a new subscriber audience of more than 150,000 sports fans. Launched in 2015, fuboTV is a young and dynamic sports OTT service with over 75 channels. The network carries live sports including NFL, MLS, NBA and MLB and provides access to major US broadcasters such as NBC, FOX and CBS. 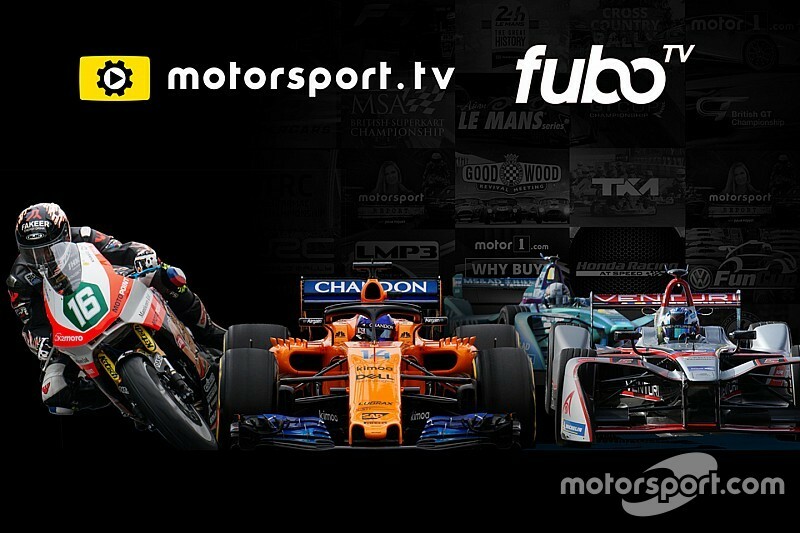 Motorsport.tv will offer fuboTV subscribers access to a wide range of live racing content including the World Rally Championship, FIM World Sidecar Cross Championship, Red Bull Rookies Cup and Super Formula. In addition, Motorsport.tv will provide fuboTV subscribers with access to the entire 24 Hours of Le Mans archives along with the extensive Duke motorsports video library that features a broad array of seminal motorsport programming ranging from sports car racing and the rich history of GP500s to the most extensive catalogue of the Isle of Man TT races. The content agreement will also see Motorsport.tv supply fuboTV with its proprietary magazine program, The Motorsport Show, that reviews and rounds up news from major international championships including Formula 1, MotoGP, WSBK, WRC and NASCAR.